Do I need a passport to travel to my next all inclusive vacation? Do I Need A Passport To Travel To My All Inclusive Vacation? The answer is a definite yes if you are traveling outside the United States. 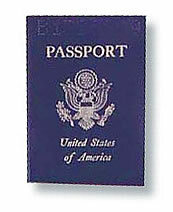 We have linked to the latest information from the Department of State and their passport information page which has a discussion about passport requirements for American travelers, as well as information about how to apply for your passport.